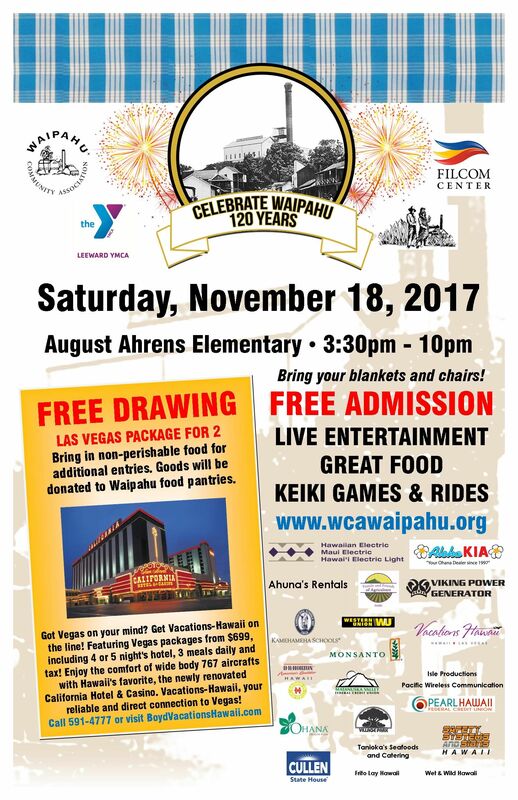 To commemorate the founding of the town, the Waipahu Community Association, it’s collaborating partners Leeward YMCA, Filcom Center and Hawaii’s Plantation Village presents to you in 2017, “Celebrate Waipahu, 120 Years”. Please come out and support our vendors, listen to live entertainment, watch live entertainment activities going on throughout the day on Saturday, November 18th from 3:30pm til 10:00pm at August Ahrens Elementary School, Tucker Field. Bring your blankets and chairs to watch the entertainment. Bring your can goods to help support the Food Drive and get additional entries to enter to win a Las Vegas trip for 2. 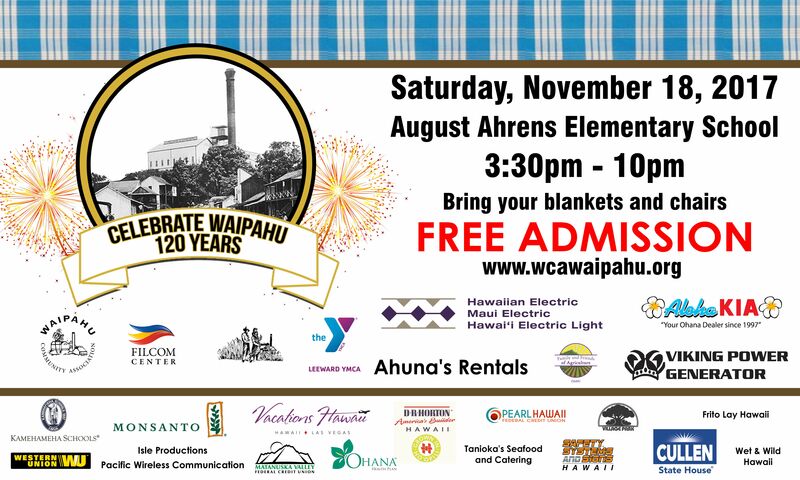 Copyright © 2013 Waipahu Community Association. All rights reserved.